The Marjory Stoneman Douglas High School Wind Symphony planned Wednesday’s visit long ago, after getting invited to perform in a high school band showcase Tuesday at Carnegie Hall. 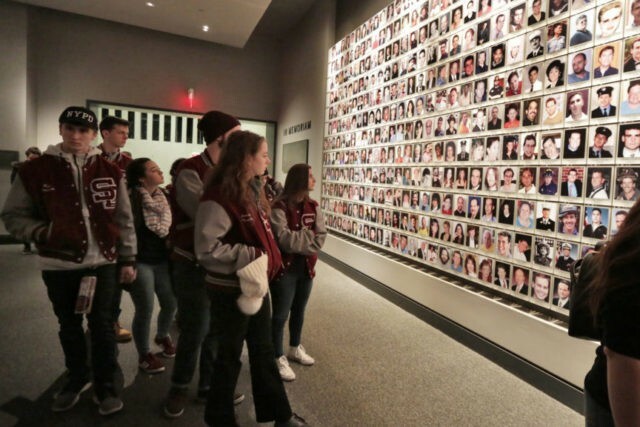 But the trip to the National Sept. 11 Memorial and Museum in New York City took on a deeper personal dimension after the Feb. 14 rampage at the school in Parkland, Florida. “It’s proof that no matter what happens, we’ll come back,” he said. About 60 Marjory Stoneman Douglas students toured the museum that commemorates the deadliest act of terrorism on U.S. soil. They were infants or not yet born on Sept. 11, 2001, when terrorists destroyed the occupied World Trade Center towers, but the line between 9/11 and their loss wasn’t abstract. One of their slain classmates, Jaime Guttenberg, was a niece of a doctor who worked in the rescue effort at ground zero. 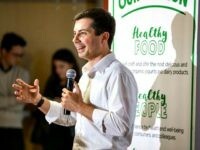 After such a loss, “everybody has no idea what to say to you, and everything they say is wrong,” like saying “time heals all wounds” when it’s been only days, he told the students. His words resonated with senior Mackenzie Hurst, 17. “It’s nice to be with the people who understand,” she said. Suspect Nikolas Cruz, 19, a former student, was formally charged Wednesday with first-degree murder and other offenses. Cruz’s lawyer has said the suspect will plead guilty if prosecutors agree he won’t get the death penalty. They haven’t announced a decision. While the court developments played out in Florida, the wind ensemble students quietly took in remnants of the twin towers and some other artifacts of Sept. 11, though their tour bypassed galleries packed with victims’ personal items. “Coming here kind of zooms in, reminds us of little details” of the attack in Parkland, said senior Ryan Lewert, 17. The story of firefighters who rushed into danger on Sept. 11 reminded him of assistant football coach Aaron Feis, hailed as a hero for shielding students during the shooting at the cost of his own life. Sophomore Jessica Gargaro, 15, found herself thinking of tributes to those killed at her high school when she looked at the museum’s projections of some of the missing-person posters that papered New York City after the attacks.